UC Davis alumnus and molecular biologist Grace Jones, 67, a member of the University of Kentucky (UK) faculty since 1984 and a longtime member of the Bruce Hammock lab at UC Riverside and UC Davis, died Jan. 12 at the university hospital of complications from a severe stroke she suffered in 2000. 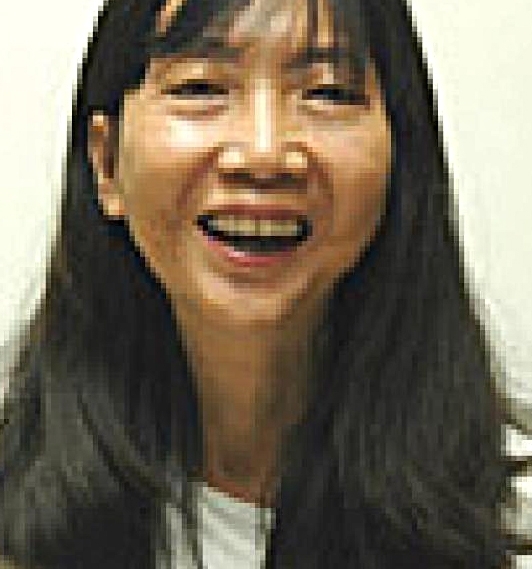 Born Jan. 30, 1951 in Hong Kong and fondly known as “Amazing Grace,” she received her doctorate at UC Davis in 1983 with major professor Hammock, now a UC Davis distinguished professor who holds a joint appointment with the Department of Entomology and Nematology and the UC Davis Comprehensive Cancer Center. Her husband of 41 years, Davy Jones, a longtime professor in the UK Department of Toxicology and Cancer Biology, received his doctorate from UC Davis, studying with major professor Jeffrey Granett of the then Department of Entomology. 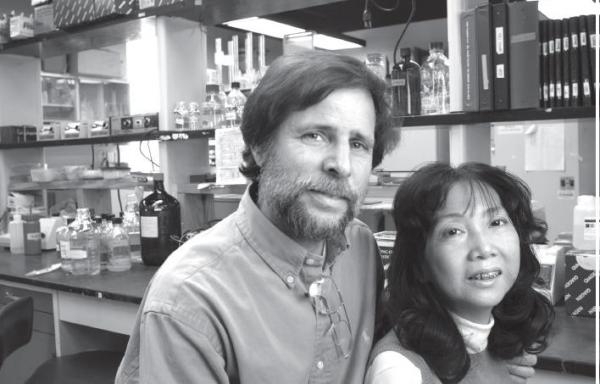 “Following her research at Texas A&M University, Grace joined my lab in the 1970s at UC Riverside and then finished her PhD at Davis in 1983,” recalled Hammock, a member of the UC Riverside faculty from 1975 to 1980, when he accepted a joint-faculty appointment in toxicology and entomology at UC Davis. “We shared everything and always helped each other out,” Wing said. “Grace went on to focus on this in much greater detail, including exploration into insect hormone receptors and regulation. She was an incredibly dedicated researcher who contributed a lot to the field." Grace Jones received her bachelor's degree in biology in 1973 from Belmont (N.C.) Abbey College, and her master's degree in biology in 1974 from Jacksonville (Ala.) State University. She did post graduate research at Texas A&M in insect physiology and endocrinology before joining the Hammock lab in UC Riverside (1979-80). After receiving her doctorate in 1983 from UC Davis, she headed to Harvard University's Medical School as a visiting scholar in the Department of Cell Biology and Department of Pathology, working there from 1989 to 2000. Her career then included visiting scientist at Massachusetts Institute of Technology's Department of Biology and a visiting professor at Baylor College of Medicine, where she specialized in stem cell research. The UC Davis alumnus joined the UK Department of Entomology in 1984 as an assistant research professor, studying insect biochemistry and molecular biology. She was promoted to associate research professor in 1990, and then switched to UK's School of Biological Sciences, becoming an assistant professor of molecular and cellular biology in 1991; an associate professor in 1993; and a full professor in 1999. "Dr. Jones was a superb, internationally recognized scientist, even as her health declined over the past 18 years, but she continued to work on teaching and research throughout," wrote UK Department of Biology chair Vincent Cassone on a web page memoralizing her. "Over the course of her research career, Dr. Jones had received millions of grant dollars for her important studies from the National Institutes of Health and National Science Foundation, and published more than 100 research articles in prestigious journals such as the Proceedings of the National Academy of Sciences, USA, Journal of Biological Chemistry, and Molecular and Cellular Endocrinology. She and Davy also received a patent in 2007 for a method to identify drugs that interact with insect nuclear receptors, which could be used for biological control of pest species." "Over the years, students have expressed great admiration and love for Professor Jones in letters and emails, and eminent scientists have expressed their high regard for her work," Cassone wrote. "A Grace Jones Memorial Fund for Family Support has been set up. Donations can be sent to the UK College of Health Science c/o Loralyn Cecil, 900 South Limestone 124E, Lexington, KY 40508 or online at https://karrn.org/. 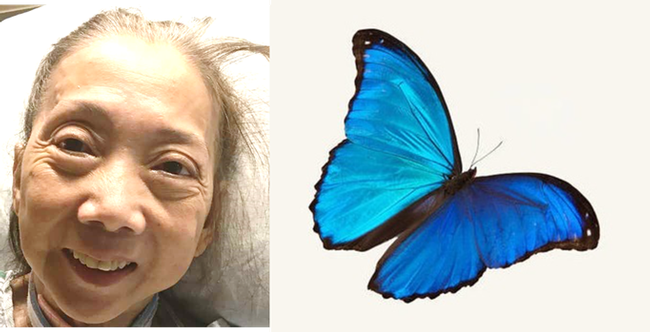 Her infectious smile will be missed in the halls of Biology, as she had her daily walks, arm in arm, color-coordinated with her husband, Davy, a testament to devotion and love." Davy Jones notified his wife's friends and colleagues, including Hammock, of her death with an email, “Butterfly has flown on.” He attached a photo of Grace and a blue morpho butterfly. She died in his arms, as this song, “Amazing Grace,” played softly in the room, he wrote. “UC Riverside, UC Davis and the field lost a wonderful colleague and we have all lost a dear friend,” Hammock told him.